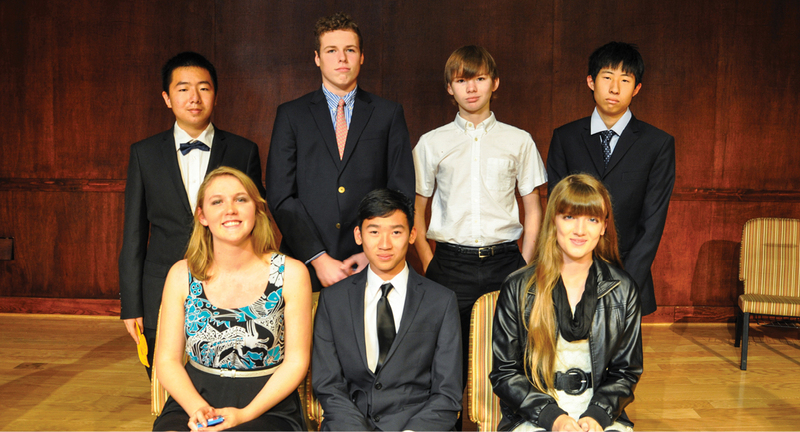 Varsity athletes at St. Andrew's-Sewanee School were recently honored at the Fall Athletic Awards. After individual teams met with coaches, all athletes and families met in McCrory Hall for presentation of the Most Improved Player (MIP), the Most Valuable Player (MVP), and the Coaches' Award winners. The players on the team select MIP and MVP awards. SAS celebrated the achievements of the varsity fall teams, including cross country, football, golf, mountain biking, girls' soccer and volleyball. Members of the varsity cross country team ran in the TSSAA Division II-A state regionals. Sophia Patterson'19 placed 40th, with a time of 27:17.20. The boys' team placed seventh overall, led by Mustafe Axmed '16 with a 14th place finish, in 19:10.30. Axmed was named to the All-Region team. He was followed by Isaac Tang '18 (40), James Pitts '20 (43), Andreas Forsyth '16 (50), Drew Copeland '16 (59) and Oscar Jing '19 (60). Hannah Powell '17 placed second and Tommy Oliver '16 placed sixth at the TSSAA Div. II-A State Golf Championships. Both golfers qualified for the State Tournament by taking first place in the boys' and girls' regional golf tournament. SAS volleyball player Lexie Laurendine was named to the Division II-A East/Middle All-District Second Team. The team finished the year with a 14-8 record. The football team went through a rebuilding year. The varsity girls' soccer team finished the season 4-4-2. The mountain biking team had not yet completed their season on awards night. Go to smugmug.com to see all the photos from the award night.